When Bilal Shah got his doctorate in computer science from the University of Southern California back in 2010, the job market wasn’t exactly welcoming. “I graduated into the Great Recession. Nothing would test my mettle more,” says Shah. Around that time, he heard about a free massive online open course (MOOC) on machine learning — a branch of artificial intelligence related to the design of certain computer algorithms — taught by Stanford’s Andrew Ng. Since Shah had plenty of spare time, he gave it a try. Every morning for three months, he sat in Peet’s Coffee & Tea in the Los Angeles neighborhood of Brentwood, drinking coffee and watching lectures on his laptop. He took pop quizzes, did programming assignments and checked his work on the course’s online discussion board. “It was an easy, convenient way to learn something new,” notes Shah, who is in his early 30s. Amid a sputtering recovery that has shone a spotlight on the dearth of qualified workers in particular segments of the economy, many in the business community view MOOCs as a key part of the solution. And at a time when rising college costs and growing income inequality occupy the national debate, some say the platforms that offer MOOCs could potentially transform higher education. Giving millions of students around the world access to high quality classes could help shrink the gap between the haves and the have-nots. A number of start-ups and prominent colleges have recently gotten in on the game. Coursera, an online learning system created by Ng and Daphne Koller, both Stanford computer scientists, has partnerships with four universities: Stanford, the University of Michigan, the University of Pennsylvania and Princeton. Coursera delivers MOOCs in math, science and the humanities. Udacity, another online education company, launched in February by Sebastian Thrun, a former Stanford professor, offers MOOCs mainly in computer programming and software design. Harvard and MIT recently announced edX, a joint online education partnership, which begins classes this fall. But while Coursera and others hold out the promise of bringing higher education to the masses and leveling the playing field between rich schools and those with fewer resources, some ask whether these platforms have rigorous enough curriculum standards. They question whether the credentials issued for course completion are meaningful in the job market. There is also skepticism around the sustainability of their business models since, for now at least, the classes offered by these platforms are free. 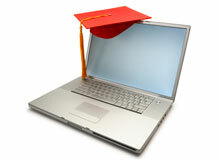 Over the years, many schools have attempted online education. Fathom, Columbia University’s for-profit online learning venture, shut down in 2003 just a few years after its launch. AllLearn, a similar effort backed by Yale, Princeton and Stanford, was founded in 2000 and closed in 2006. Second, the barriers to entry for students are lower. Taking an online class today doesn’t require much technological know-how. Even if it did, the population of potential online learners has a greater comfort level with technology even compared to five years ago. Members of Generation Y are digital natives and famously tech savvy. They already use technology and online tools for collaboration, communication and research. Baby boomers are not far behind. In 2008, only 11% of those aged 50-64 used social media. Today, 52% of that age group uses social media, according to the Pew Research Center. A third driving factor is the economy. College is out of reach for many people because of the cost but, for better or for worse, a degree is considered necessary for a successful career. The cost of college has risen by a staggering amount. In 1981, the average annual tuition and fees for a four-year public university were about $2,242 (in constant dollars today), according to the College Board. Last year, that number had climbed about 267% to $8,244 a year. The cost of attending a private college has also increased: In 1981, the average yearly tuition and fees for a four-year private university rang up at $10,144; today the cost is $28,500, an increase of 180%. The Federal Reserve Bank of New York says that about 15% of Americans have outstanding student loan debt. The bank estimates the total burden at around $870 billion. College graduates have much lower unemployment rates than high school graduates, and they tend to make a lot more money over their lifetimes, but the financial crisis has not been kind to either group. According to the Center for Labor Market Studies at Northeastern University, about 54% of people under the age of 25 who hold bachelor’s degrees were jobless or underemployed last year, the most in at least 11 years. High school graduates have fared even worse. A study published June 6 by the John J. Heldrich Center for Workforce Development at Rutgers found that a mere 16% of the high school classes of 2009, 2010 and 2011 are employed full-time. An additional 22% had part-time jobs. These grim statistics have increased scrutiny of the higher education industry. Public universities are already buckling under draconian state budget cuts. “And in a slow-growing economy, there is greater pressure on schools — particularly graduate schools — because people are getting their degrees and still not getting jobs,” says Wharton’s Werbach. Many people cannot afford college, and many of those who went still cannot find jobs. Both these groups need to acquire new skills and additional training. Online education platforms, like Coursera, edX and Udacity, fill an economic need, according to Chris Pitts, a Boston-based producer specializing in e-learning content for colleges and corporations. The global e-learning market will reach $107 billion by 2015, according to a new report by Global Industry Analysts, the San Jose, Calif.-based market research firm. And yet, it’s still not entirely clear how this new wave of online education platforms will make money. In April, Coursera announced it had secured $16 million in funding from two Silicon Valley venture capital firms. Udacity is also venture backed. MIT and Harvard contributed a combined $60 million to launch edX, which is overseen by a nonprofit, but program directors have said they plan to make the initiative self-supporting. Industry analysts point to several potential ways Coursera and others could generate revenue. Platforms could, for instance, charge students a fee for certificates of completion or even transcripts. They could also make money by providing premium services, such as a recruiting tool that links employers with students who have shown ability in a given area. Another potential income stream: donations from thankful alumni. One of the most promising aspects of these online enterprises is that they could level the playing field for colleges that lack Ivy-level resources. The cash-strapped schools could, for example, ask students to download lectures from Coursera to watch on their own time as homework, and reserve class time for face-to-face interaction and discussion. Salman Khan, founder of Khan Academy, the free online education platform, is the pioneer of this “flipped classroom” model. But others suggest that for students who can’t get in or can’t afford to go to college, online education platforms are already proving themselves to be a decent alternative. There will always be a place for elite undergraduate education, but the access to learning and knowledge these platforms provide holds great promise.